Happy Friday everyone! So glad it's finally here! Okay so I am definitely not a makeup artist, although I think it would be a really fun career to get into one day, but I am completely obsessed with makeup. I really enjoy applying it every morning and I especially love the days that I have nowhere to be so I can spend however long I want just messing around in it. There has been one brand of makeup that I have been dying to get into and my dreams finally came true for Christmas. I finally got a Temptu Airbrush makeup system! I know its not a very practical item to be bringing up for our Friday Favorite but if you've ever been interested in makeup or airbrush makeup this is an amazing product. I was nervous at first to try it, and I will say that the first application wasn't the best, neither was the second, but that was all in my technique or lack there of. After watching some blogger tutorials and being able to practice and I'm starting to feel confident with my application and honestly I love the way this makeup feels on my skin more than any other makeup I've tried. It's super light weight and goes on so smooth and my skin actually seems to be improving because I'm not layering on a thick layer of foundation everyday. It might seem a little excessive to be applying airbrush makeup on just a regular work day but honestly it takes me less time and less product than it did when I was applying my old foundation, powder, blush and bronzer and I'm finally getting that flawless, airbrush finish that I've been looking for for so long! If you've ever considered getting into airbrush makeup, I would definitely recommend that you start looking at the Temptu systems, they're super user friendly, easy to learn, and fun to use! This is all my own personal opinion after purchasing the system myself. I am not affiliated with the company at all, I am just really happy with the product and wanted to share it with you! Have a great weekend! 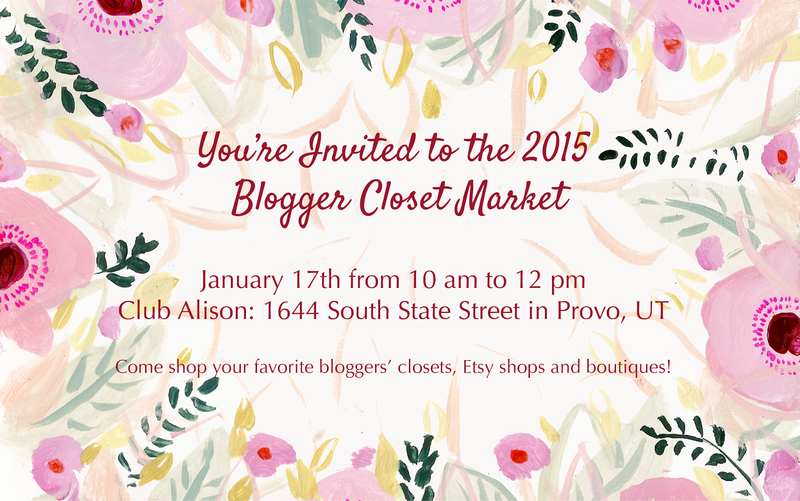 Hope to see all of you Utah ladies tomorrow at the Blogger Closet Market! there will be some awesome bloggers there along with some fantastic shops so there will be lots to chose from! Can't wait to see all of you! That system would totally scare me to even attempt. But see, you must have what it takes to be a makeup artist!